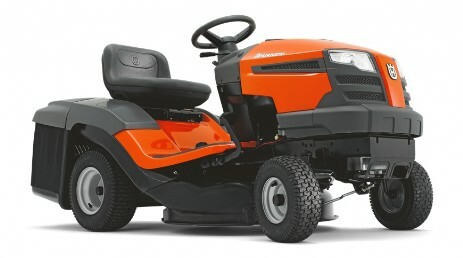 Husqvarna has released an exciting new range of intergrated catcher rideon mowers for 2015. Innovative new features, new cutting decks, upgraded engines - all at a lower price than last year! The range is called the TC series. The TC 238 is ideal for homeowners and landowners with larger gardens who need a durable and comfortable tractor with high manoeuverability. It is an efficient garden tractor that offers excellent collection of grass clippings and leaves, giving tidy cutting results. The spacious, integrated collector is easily emptied from the driver's position. Equipped with a powerful, twin cylinder Endurance Series engine, that is easily started with the touch of a button, without any choke. 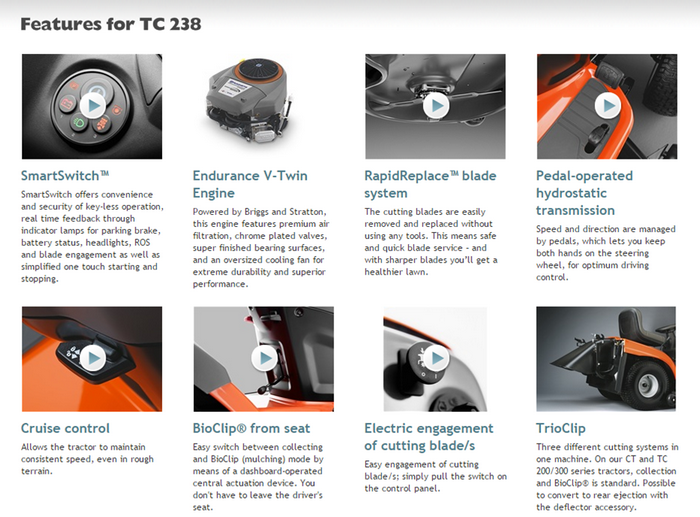 BioClip from seat and toolless RapidReplace blade change system adds to the convenience. 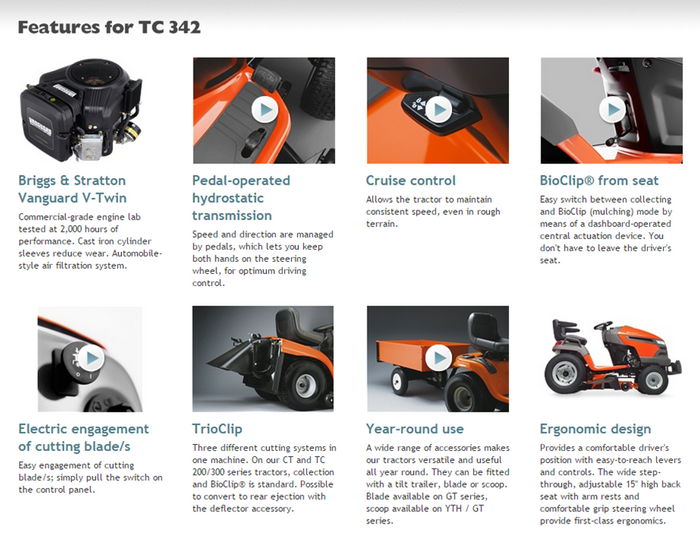 The TC 342 is a high spec machine designed for landowners who frequently need an efficient tractor on really large areas all year round. 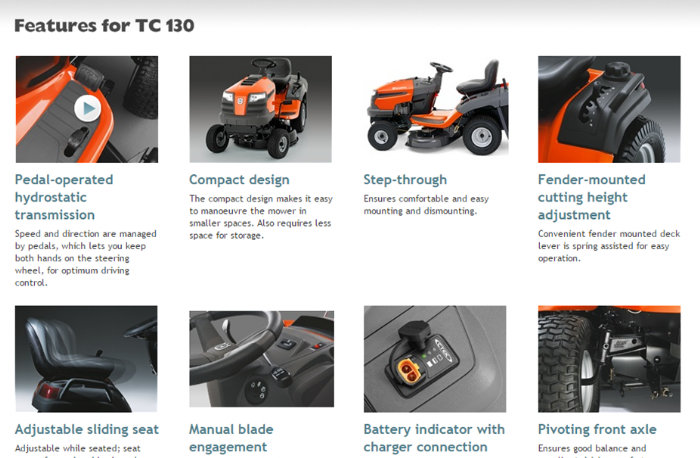 It is a high-capacity tractor with integrated collection for demanding lawn care. Equipped with a commercial graded Vanguard Series. Has extra fast transmission for superior transport speeds. Pedal-operated hydrostatic transmission and BioClip from seat together with cast front axle means convenient and trouble-free operation. The BioClip® from seat function makes it possible to change to mulch mode while still in the driver's seat.